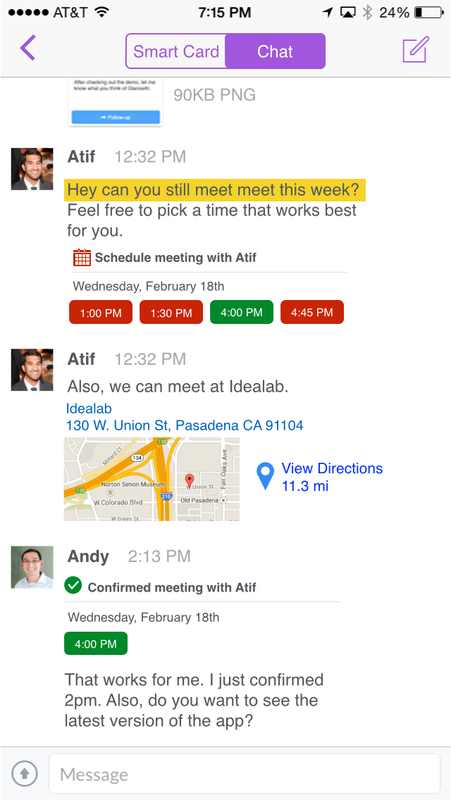 GlanceAt (http://glance.at) is a smart mobile email assistant that uses machine learning and Natural Language Processing to boost business communication productivity. 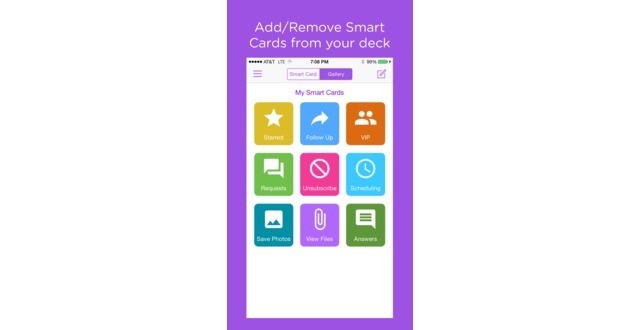 The app shows relevant information at a glance, and suggests actions based on a user's conversation. It takes high-repetition, clunky multi-step workflows, and turns them into quick one-click automated actions for busy professionals. 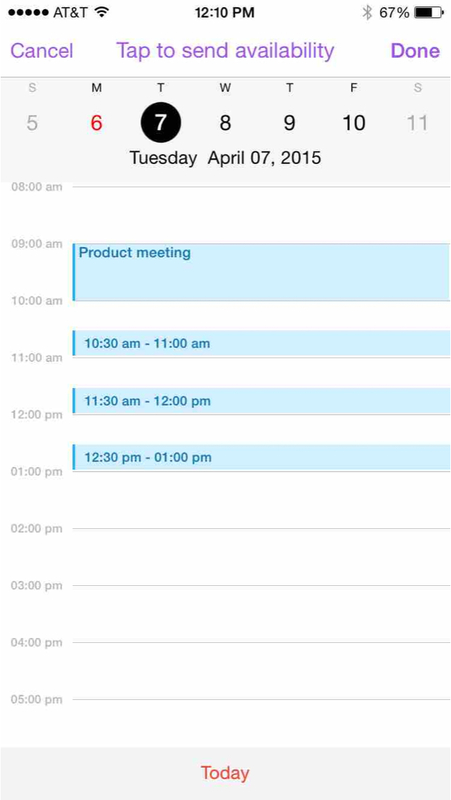 GlanceAt detects calendar events, to-dos, and common business requests like finding an ideal time to meet with colleagues. 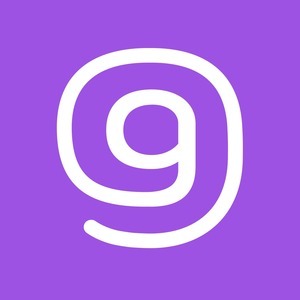 GlanceAt combines some of the core organization elements of email with features that many people have come to expect on mobile from modern chat clients like instant updates, presence, and typing indicators. It strikes a balance between your professional communications that helps bridge the gap from email to a much faster and more productive medium. Busy professionals spend too much time reading and answering emails. In an average work week a professional spends 13 hours a week in their inbox, that translates to 28% of an average workday on just reading and writing email. The average corporate email user is bombarded with 105 emails sent and received each day. Business communication tools like Slack, Yammer, or Basecamp are convenient for internal collaboration, but for external communication between clients, customers, business partners, or key stakeholders email is the most preferred method of communication and it's still a method that requires the most cognitive overhead. By focusing on email as the identity layer for business correspondence we've created a new communication paradigm on mobile by making it faster, more intelligent, and more convenient. 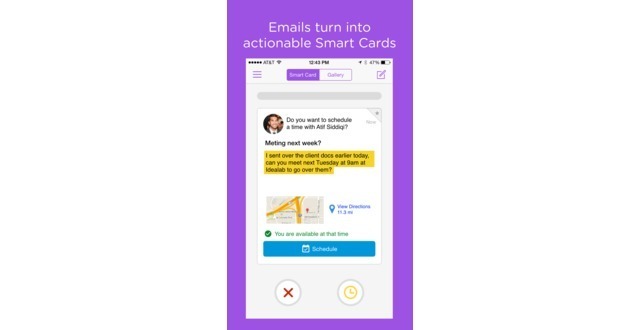 GlanceAt simplifies email by detecting common business requests using Natural Language Processing, presents the releveant information in a mobile card to be viewed in a glance, and takes users into a chat context if both users are on the application for faster communication. Existing business communication solutions do not offer an approach using AI to make communication faster, and more productiive. 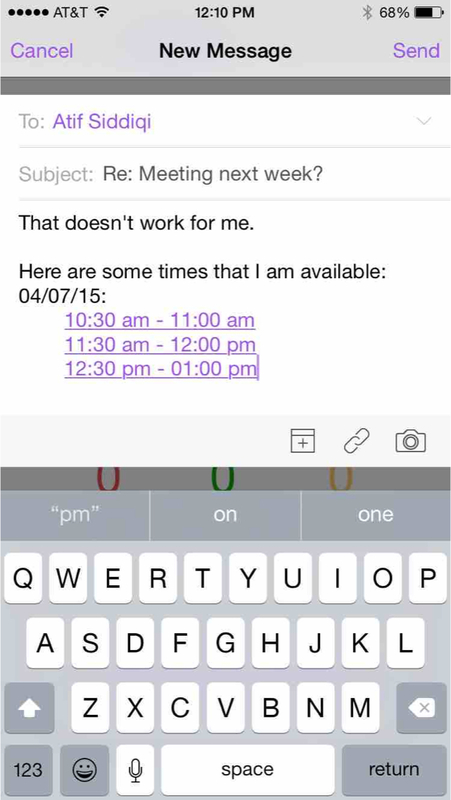 Existing mobile email applications (eg. Outlook/Acompli, Google Inbox, Mailbox, Boxer) focus on incremental improvements to UI, search, and third-party integrations. Existing business communication tools (Asana, Basecamp, Yammer) provide collaboration tools for internal use within a team/organization but fail to provide a way to collaborate productively with external contacts. Existing chat applications are too consumer focused and do not provide the productivity integrations needed for business communication (eg. email, calendar, files). 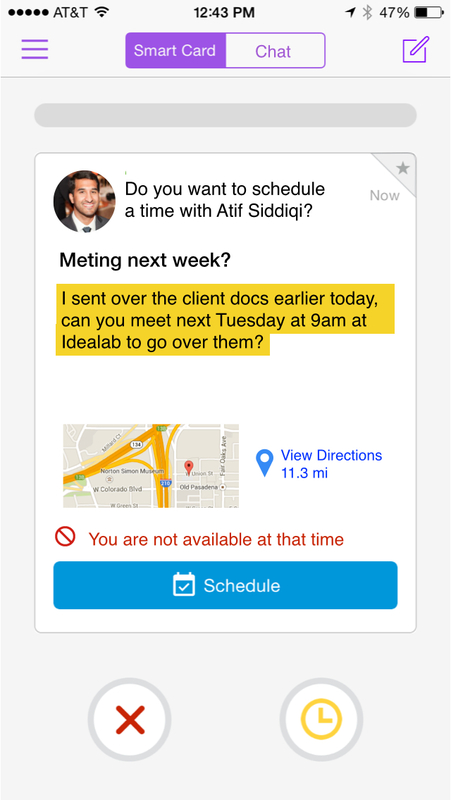 GlanceAt's approach is to be smart-by-default providing an intuitive experience using AI so that anyone can save time communicating in a professional setting. The convergence of the BYOD (bring-your-own- device) movement in the enterprise, the shift to Google Apps for business, and the growing demand for consumer-friendly mobile business solutions provides GlanceAt a prime opportunity for high growth. GlanceAt also sits at the fastest growth segments of mobile applications: email (28% YoY growth), productivity (150% YoY growth), and messaging (203% YoY growth). GlanceAt benefits from the high retention of productivity/email applications and the virality of messaging applications. Users come for the single-player tool (AI-driven email), but stay for the network since communication via GlanceAt becomes more convenient than traditional email. GlanceAt's initial target market are Google Apps for Work mobile users, that interface frequently with clients/customers/partners. So far, we've seen high engagement and retention among sales, business development, and marketing teams in an organization. GlanceAt Demo from Atif Siddiqi on Vimeo. Co-Founder/CEO at Glance.At. Entrepreneur in Residence at Idealab. USC grad/MBA/NCAA National Champion.